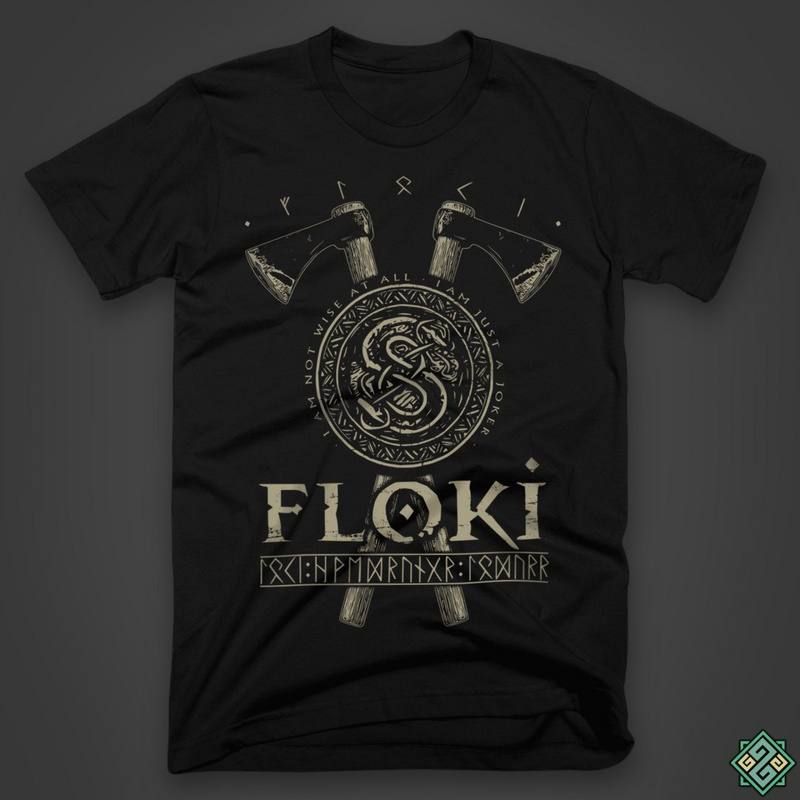 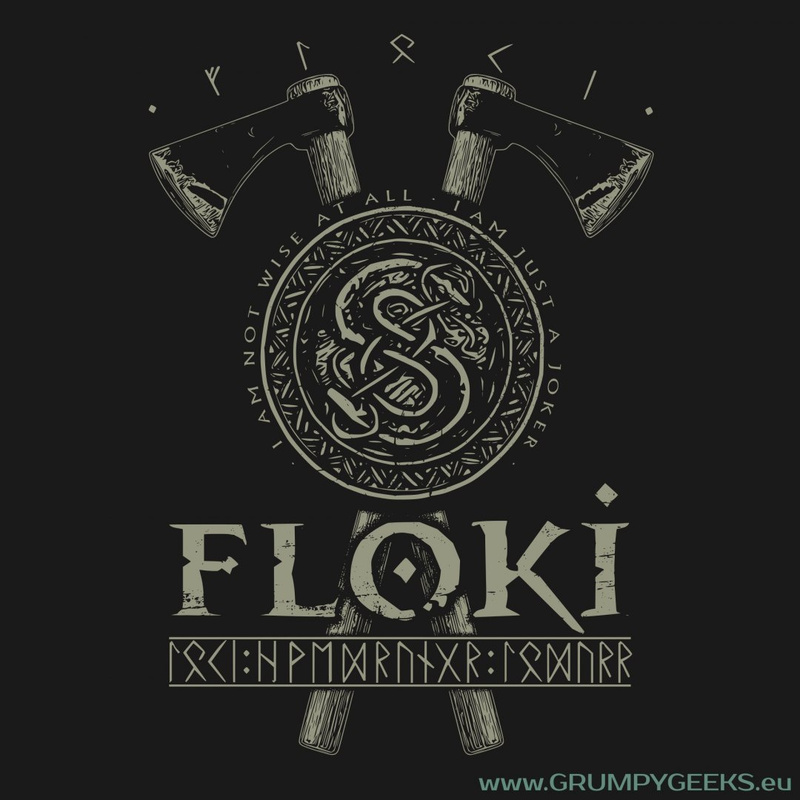 At last we can pay homage to our favorite Viking of the entire series - Floki the Ship-builder! We wanted to emphasize his resemblance to the trickster god Loki, thus in the very center of our design sits the serpent of Urnes, wildly recognized as the symbol of Loki. 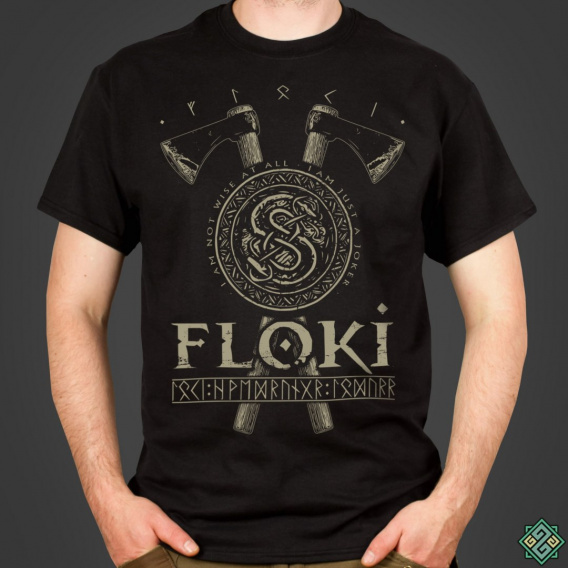 Beneath we placed three different names of the jotunn-god: Loki, Hvethrungr and Lothurr, all written using Futhark.